"What causes crepey skin?". Old age is a natural occurrence that I don’t mind welcoming with open arms someday, yet there are ladies and gentlemen from my hood who feel stressed just by thinking about how much it will change their outer appearance. This thought has encouraged a lot of them to go under the knife from an early age to preserve their beauty for as long as the medical enhancements can hold. 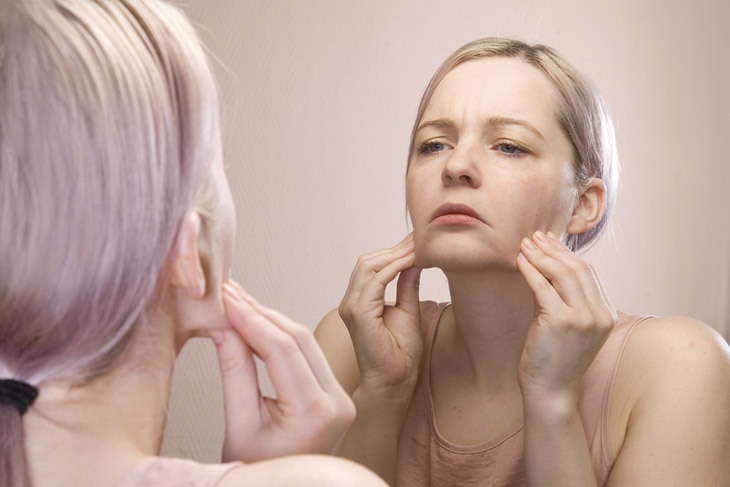 If you ask me regarding one sign of aging that makes me anxious the most, though, it is the sagging of the face, so I set out to understand everything connected to the topic – especially what causes crepey skin – before it happens to me. In case the subject seems relatable to you somehow, feel free to jot down notes as well in between. 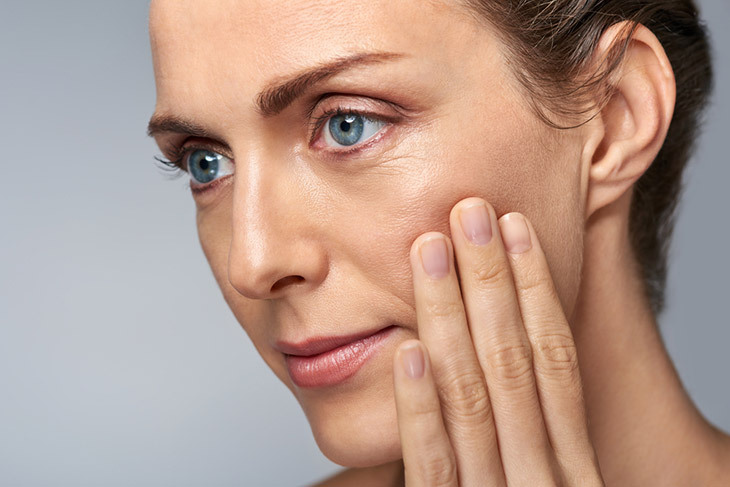 ​What Differentiates Crepey Skin From Wrinkles? ​How To Characterize Crepey Skin? ​Who Gets The Saggy Skin? ​Despite the fact that both problems indicate that you are starting to get old, this claim is truer when you pertain to wrinkles due to how the fine lines become permanent in time around the eyes and mouth and on the forehead as your facial muscles get accustomed with the same movements. ​Crepey or grandma or elephant skin has a different story, on the other hand, because scientists believe that this is the consequence of staying underneath the harsh sunlight for extended periods. The heat can destroy the fibers in the body that allow the skin to become elastic, thus resulting to loose outer covering. ​The term ‘crepey’ has actually come from the word ‘crepe’ since it looks as thin and as wobbly as the dessert.This type of skin is quite effortless to distinguish even at the beginning, specifically if you are aware of the changes that take place inside and outside your system. ​The first apparent sign is the tiny dots that surround the hair follicles. After a while, they tend to form a straight line or a diamond shape together until these markings expand and you can no longer hide from the truth your epidermis and dermis lack enough amount of collagen. The process ends with your skin following gravity. ​No matter what race or gender you identify with, it may be impossible to prevent the epidermis from becoming loose as you take on years. Although a few sources can teach you how to get rid of crepey skin, it is quite inevitable, precisely once you hit the age of 40. Demographic-wise, there is a lower probability of getting a crepey skin for Asians,Afro-Americans, and Latinas than the other ethnicities because of the high levels of melanin that your body may naturally produce. In case you have been experimenting with various artificial tanning options to achieve the sun-kissed vibe without being in the open, you may want to reduce the number of times you do it to decrease the odds of acquiring the grandma skin. ​It has already been mentioned above that age and sun exposure are the major factors that cause crepey skin, but our search cannot end with that. The reason is unique for almost every individual since we do not share the same lifestyle; that’s why I have listed several feasible ideas in hopes of helping you to find and cull the root of the problem. ​The only moment that you can skip applying sunscreen on your face and exposed body parts is if you have zero plans of leaving the house today. Otherwise, it is important to use a lotion with high SPF count to ensure that the scary UVAs and UVBs will not be in direct contact with your skin. ​What I like to do personally to protect my skin is apply sun cream even when the summer passes as we cannot determine accurately some ultraviolet rays that we become exposed to in different seasons. Of course, moisturizers are vital in keeping the epidermis smooth and hydrated as well, so you may have to invest in the right ones. ​Your position when you doze off may say something about your personality, but lying on your stomach or resting on the side for hours can increase the possibility of crepey skin formation. This is an acceptable argument because some people nod off with their face squished on the pillow. The marks that it may create on your skin may depress after the shower, yet continuing this way can make things permanent to the point that the elastin runs out within these areas too. ​These creases are not concentrated on the face alone, mind you, as it can appear on your arms, legs, hips, or any body part that gets crushed repeatedly. ​Whether you choose to gain or lose extra pounds to maintain your well-being, anything too extreme has an adverse effect on the skin. ​The droopiness is not visible with overweight individuals because of how the skin expands to accommodate the additional fats. This enlargement breaks down the proteins that make up the elastin and collagen, however, and the issue just shows when most of the flabs that keep the shape intact are gone. ​Once you consume more sugar than your system can convert into consumable energy, the excess reacts with the dormant fats through the glycation process. It may get messy if I try to explain it in its full scientific glory, but their byproducts are weak and immovable proteins. You have no need for special instruments to see the way it affects you because it will be apparent when the skin starts to sag. Comments, anyone? Tell us what you think of the causes of crepey skin below.